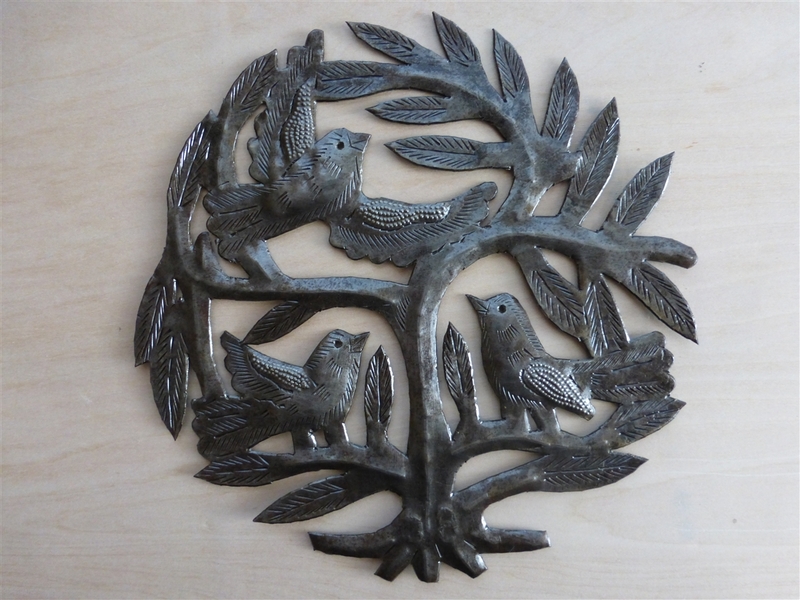 A piece done with amazing craftsmanship and precision, made from recycled oil drums in Croix des Bouquets, Haiti. 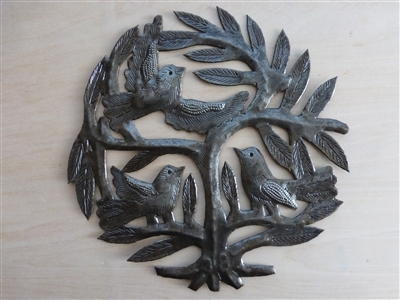 This wall hanging incorporates a tree of life with three birds in the design. Approximately 8 inches in diameter.